Even if Golaem Crowd relies on Maya and Maya particle systems, it introduces new concepts and relationships which need to be understood before starting. Entities of the battle crowd scene. Entity Types of the battle crowd scene. 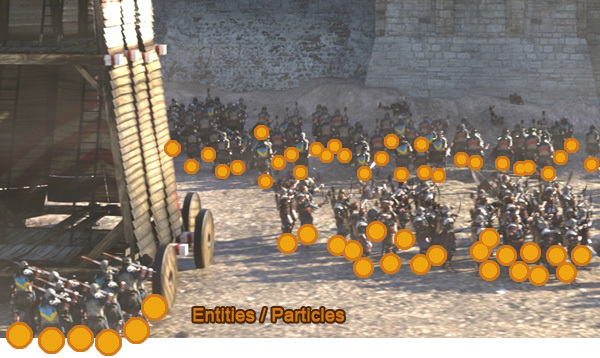 Relationship between Maya Particles, Entities & Entity Types. A Behavior Container is an object which encapsulates a graph of Behaviors. Each Entity Type defines its own Behavior Container: all the Behaviors added to an Entity Type Container will be affected to their corresponding Entities. 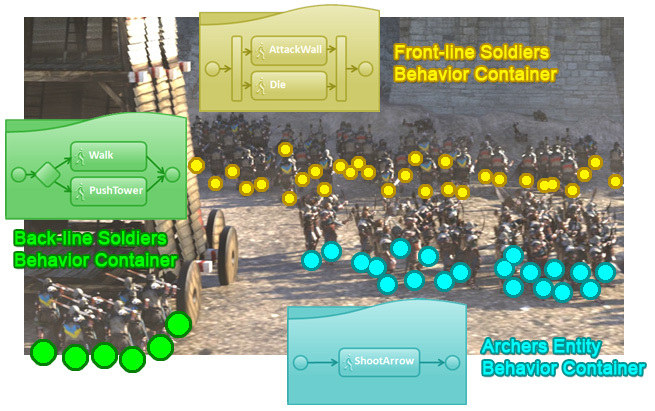 Behavior & Behavior Containers of the battle crowd scene. 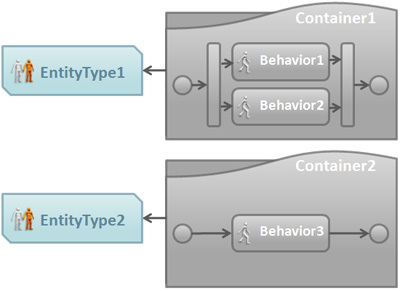 Relationship between Behaviors, Behavior Containers & Entity Types. 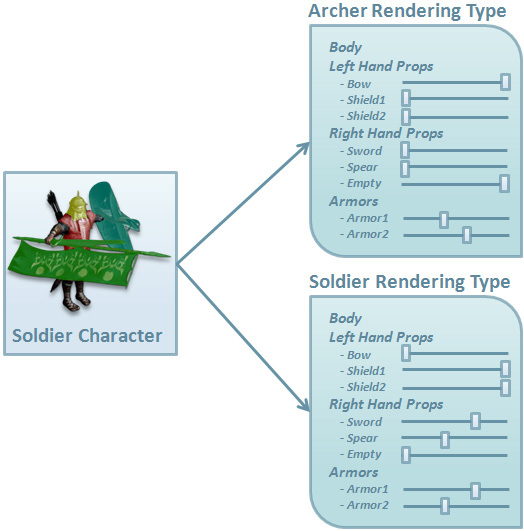 Relationship between Crowd Characters, Rendering Types & Entity Types.